This weekend, I met up with Ryan, a friend of mine, for a photo shoot. 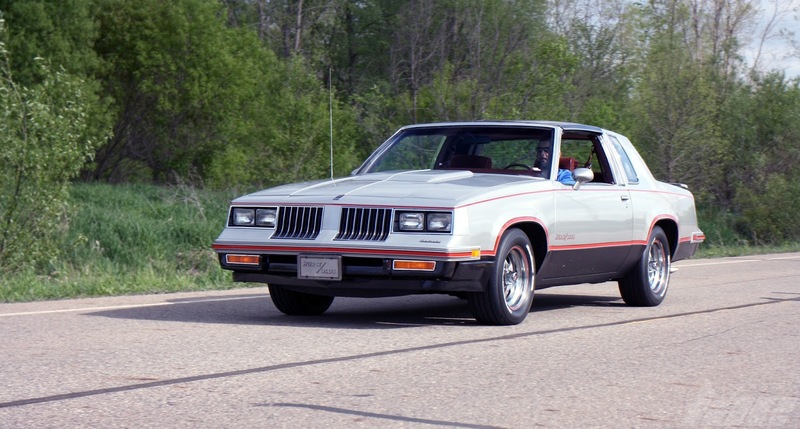 Ryan is an Oldsmobile enthusiast, as you'd quickly find out when you bring up the topic of cars with him. 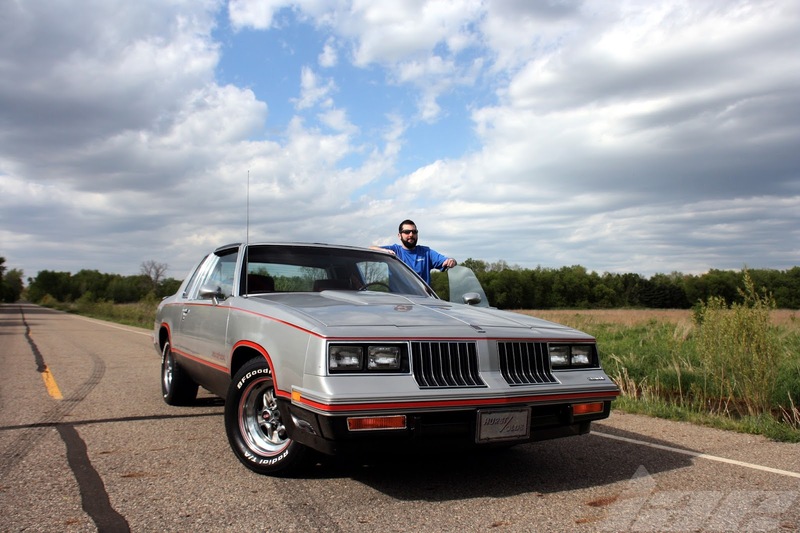 His 1984 Oldsmobile Hurst 442 has been his pride and joy for the past 13 years. It was his fathers pride and joy before that. 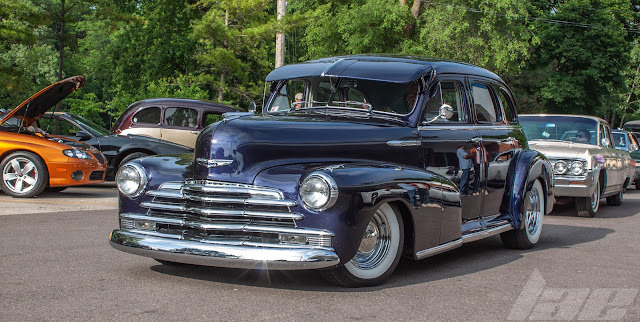 As Ryan told me, his Dad worked at GM, and had a part in the production of this very car at the Fisher Body Plant (now the GM Lansing Grand River plant). 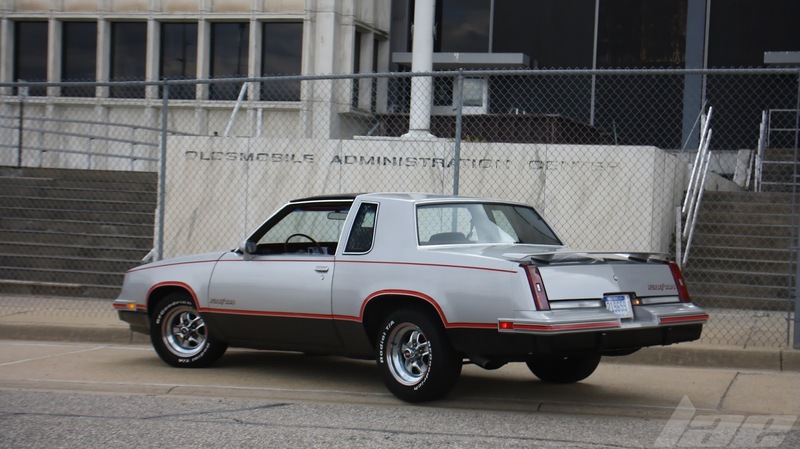 His Aunt also worked at the plant as a Quality Control officer, and gave this car a once-over before it rolled out. While we were out and about, Ryan wanted to show me the old Oldsmobile Administration Building at LGR. I snapped this picture just before the security guard drove up and politely asked us to leave. 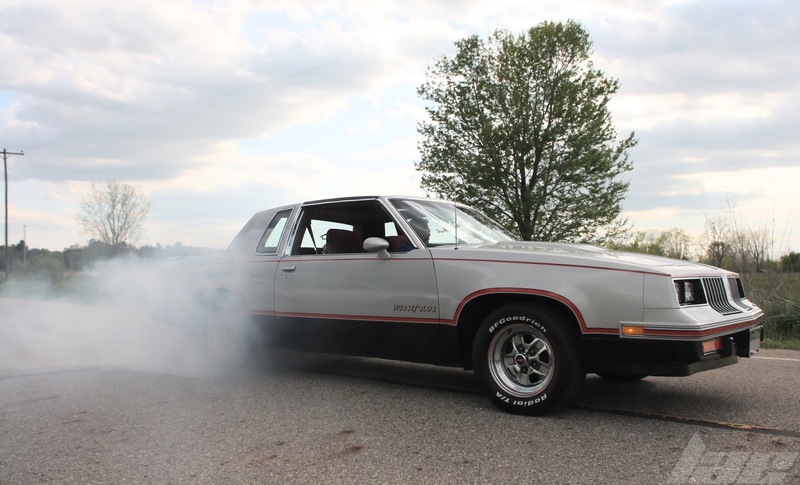 Being a muscle car of sorts, part of owning one is doing the occasional burnout. 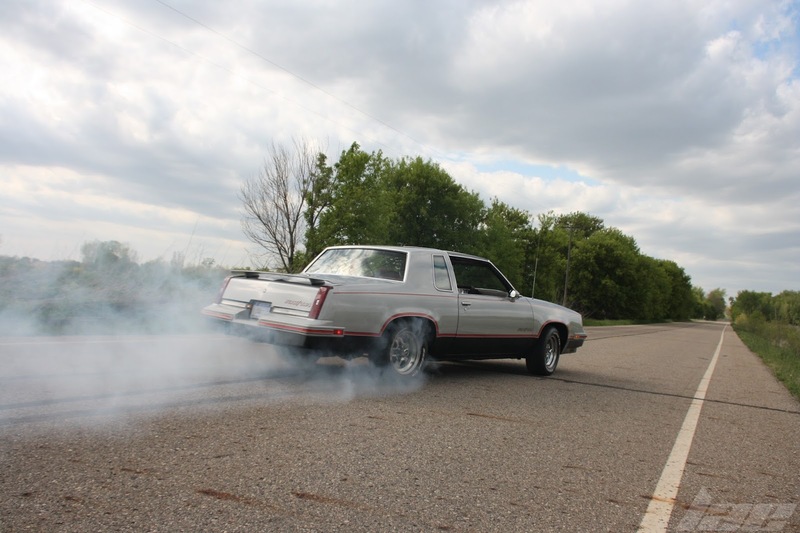 Ryan was more than happy to burn off a bit of his rear tires for the sake of a good shot. 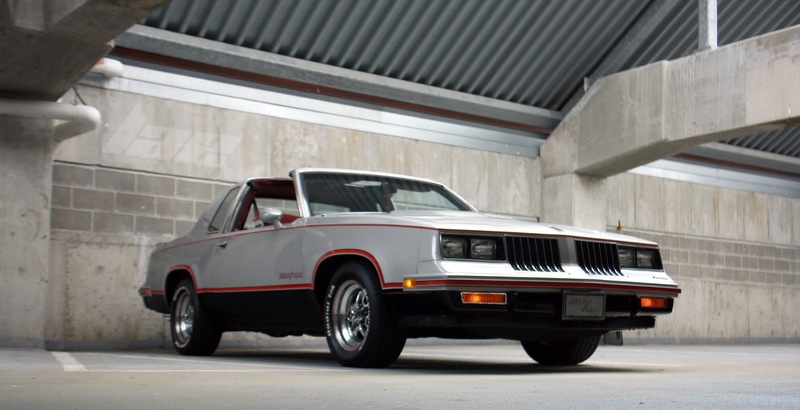 According to Wikipedia, there were 3,500 Hurst 442's built in 1984. The highest of any year, and the last year of the Hurst 442. Ryan tells me this one has every option you could get, as well as a front lip and rear spoiler added shortly after it's sale in 1984. 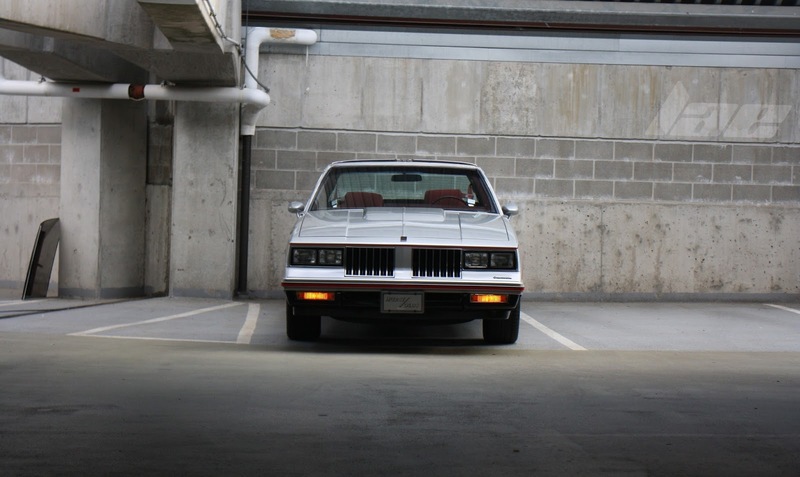 The 1980's styling was a nice change of pace to the usual cars I see every day. 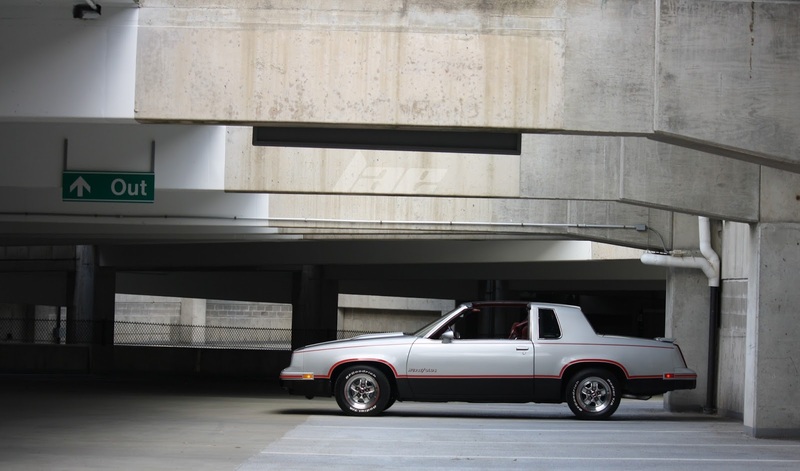 The square shape, the 90-degree angles and the relative simplicity of the design all just scream "I love the 80's" just as much as the Great White blaring from the stereo. Ryan told me that many of the features on this car were unique to the Hurst models. Most obvious being the 2-tone paint and red striping. 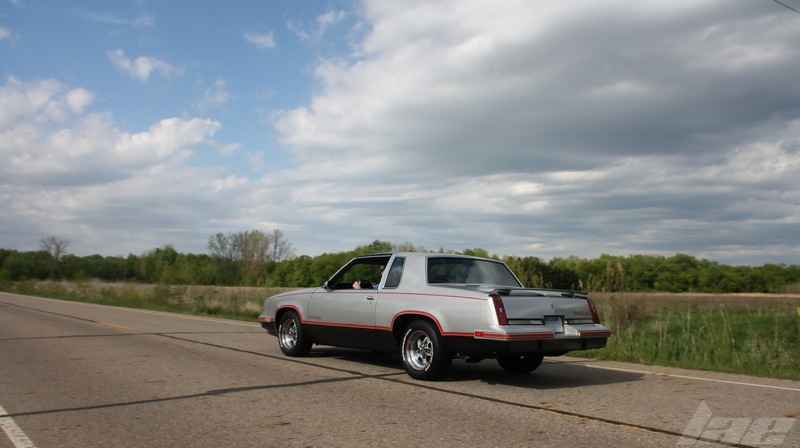 The Hurst uses an Oldsmobile 307-cid LV2 V-8 engine making, from the factory, 148hp and 250 lb-ft of torque, though it's since had a rebuild and a mild cam installed, which Ryan estimates to give it closer to 200hp and 350lb-ft of torque. He told me he'd gain even more if he removed all of the infamous 1980's emission controls. 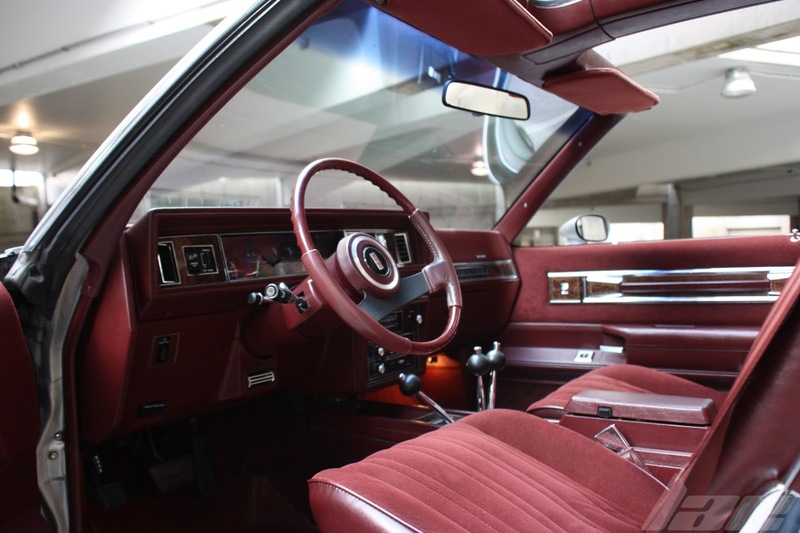 The interior is a very 1980's shade of red velour. The seats, while still in very good condition, offer little in the way of support or bolstering. 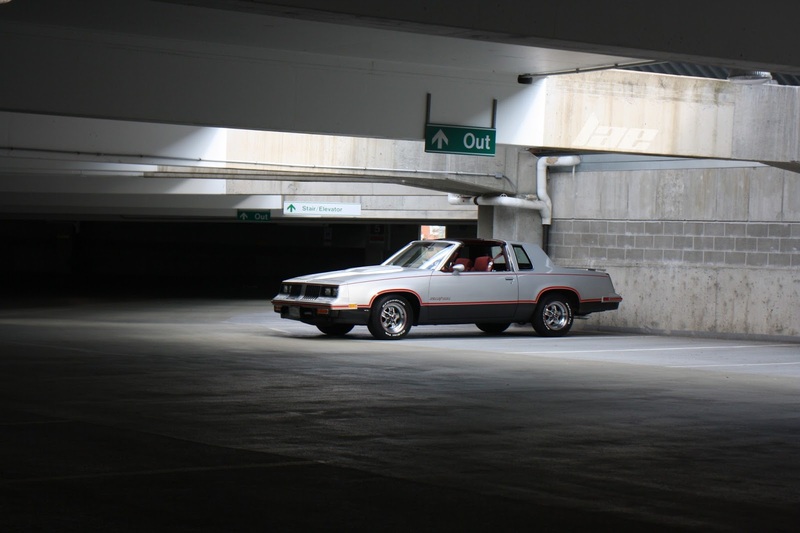 The T-top roof adds a huge level of ambient light, as well as a higher level of visibility. Surprisingly, even on the highway, the only wind noise was caused by both turbulence behind the mirrors and 33-year-old weatherstripping. You might have noticed the odd triple shifter. This was known as the "Lightning Rod Shifter", and was designed to be used for drag racing, or just general hooning about. 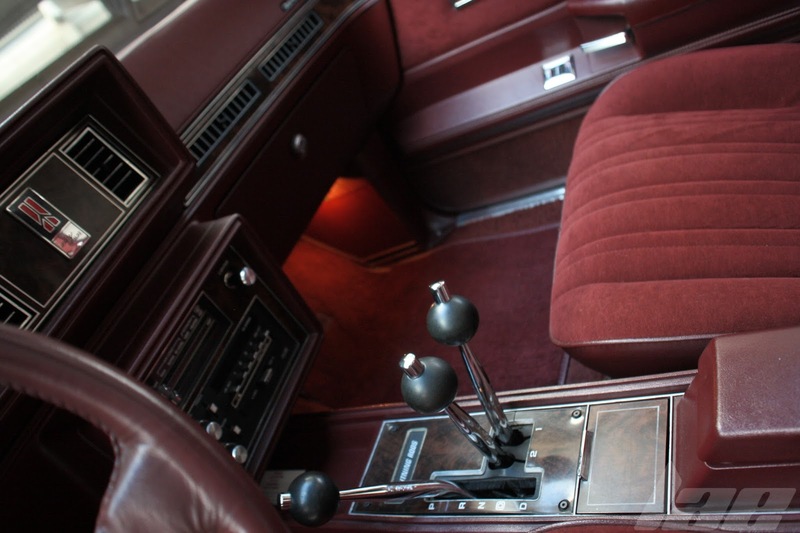 With the main lever in "D", and the "1" and "2" levers all the way back, the transmission was locked in first gear. Push the "1" lever forward, and you get second gear. Push the "2" lever forward, and you get third gear. Push the main lever into "OD" and you enable 4th, or overdrive. It looks confusing, but it's actually pretty simple. Sort of an early take on a manual-shifted automatic. The steering wheel was rather interesting. Ryan tells me that the aluminium ring around the wheel center, as well as the stitched leather pieces on either side were unique to the Hurst. And just look at that dashboard. 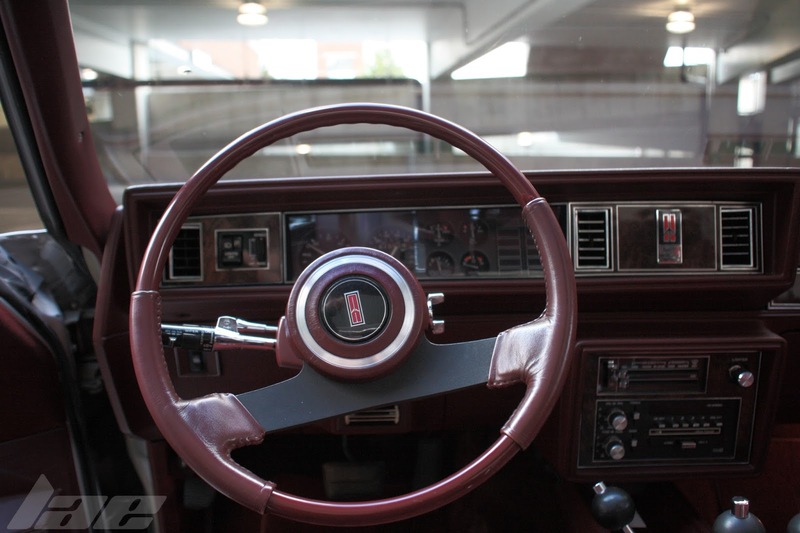 The cluster is all round gauges inside the rectangular window, continuing the typical 80's angles. And notice the radio. All sliders and knobs. No touchscreen, bluetooth, hands free or anything else you'd find in a modern car. This car was great to shoot. Ryan is a great guy, and was happy to talk about the car. 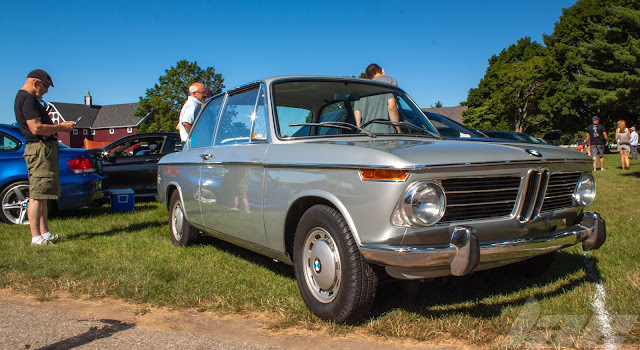 There will be a "Regular Car Reviews"-style video in the near future, so stay tuned for that. Until then, thanks for reading.